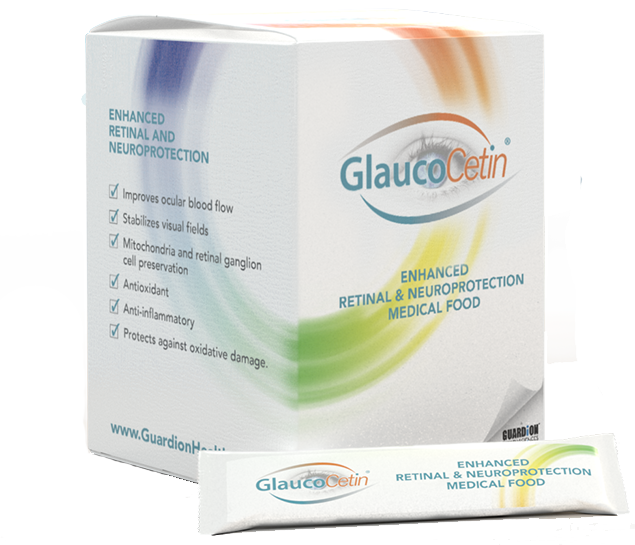 GlaucoCetin is the first regulated vision-specific Medical Food designed to support and protect the mitochondrial function of optic nerve cells in patients with glaucoma. 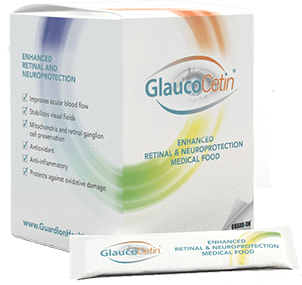 GlaucoCetin combines a unique set of ingredients, specifically designed to stop or reverse the underlying cause of optic nerve loss, and ultimately vision loss, in glaucoma. This unique formula was developed in collaboration with Dr Robert Ritch, a world-renowned glaucoma specialist from Manhattan Eye and Ear Infirmary and Mount Sinai Medical Center in New York City. Dr Ritch developed the precursor compound of GlaucoCetin, known as GlaucoHealth, which was shown in an IRB approved study to reverse mitochondrial dysfunction in optic nerve cells. Dr. Robert Ritch holds the Shelley and Steven Einhorn Distinguished Chair in Ophthalmology and is Surgeon Director Emeritus and Chief of Glaucoma Services at the New York Eye and Ear Infirmary, New York City, and Professor of Ophthalmology at The New York Medical College, Valhalla, New York. He has devoted his career to broadening our understanding of the underlying etiologies and mechanisms of glaucoma and innovation in its medical, laser and surgical treatment. When still a fellow in 1978, he performed the first laser iridotomy in New York and initiated the first course on laser treatment of glaucoma at the American Academy of Ophthalmology. Dr. Ritch has co-authored or edited nine textbooks and over 1,600 medical and scientific papers, book chapters, articles and abstracts. He has presented nearly 700 lectures worldwide, including 40 named lectures, and has received over 40 awards. Dr. Ritch has trained over 140 clinical and research fellows, many of whom occupy academic positions worldwide. The international training program that he established at the New York Eye and Ear Infirmary has hosted over 60 International Council of Ophthalmology fellows and more than 100 observers from over 40 countries. He has worked and lectured extensively at the international level and has organized many symposia and conferences both in the United States and abroad. He has dedicated much of his time internationally over the last 30 years; organized conferences and symposia; and trained over 80 fellows, ICO fellows, and observers from Asia. Dr. Ritch has helped to establish residency and teaching programs and has made fundamental contributions to the modernization of ophthalmology in Thailand, Malaysia, the Philippines, Laos, Myanmar and other countries in Asia, as well as in Latin America. There are Asian, Brazilian and International Ritch Fellows Societies. Dr Ritch is a member of the Medical Advisory Board for Guardion Health Sciences. 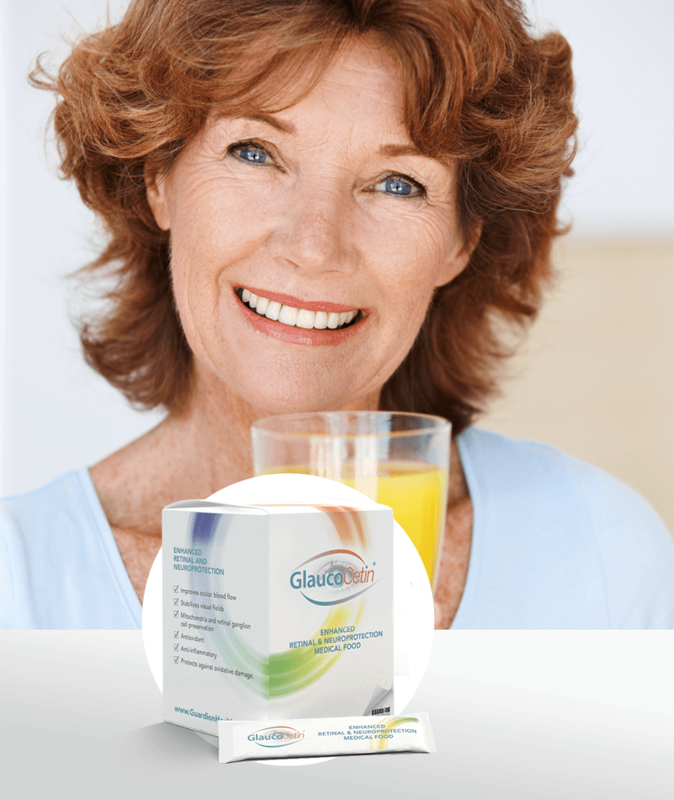 GlaucoCetin is manufactured and distributed by Guardion Health Sciences. Guardion Health Sciences was created to focus on new technologies for the detection of eye disorders and the treatment of these disorders using targeted nutritional therapy. In addition to GlaucoCentin, Guardion also manufactures and distributes Lumega-Z, the only vision-specific Medical Food designed to restore and replenish the macular pigment. Guardion also holds the United States and European patents on the Mapcat device, which is the most accurate measure for macular pigment optical density (MPOD). The Mapcat’s proprietary technology is protected by patents in the United States and Europe. With the acquisition of VectorVision Inc in 2017, Guardion added the world leader in standardized contrast sensitivity testing to its protocol. In 2018, Guardion received two patents related to the standardization of vision testing using computer generated vision tests.